Lokta Paper has two different sides. Literally. One of the sides is smooth, while the other side of the same sheet is more rough and natural looking. It all goes back to the unique way that Lokta Paper is made. 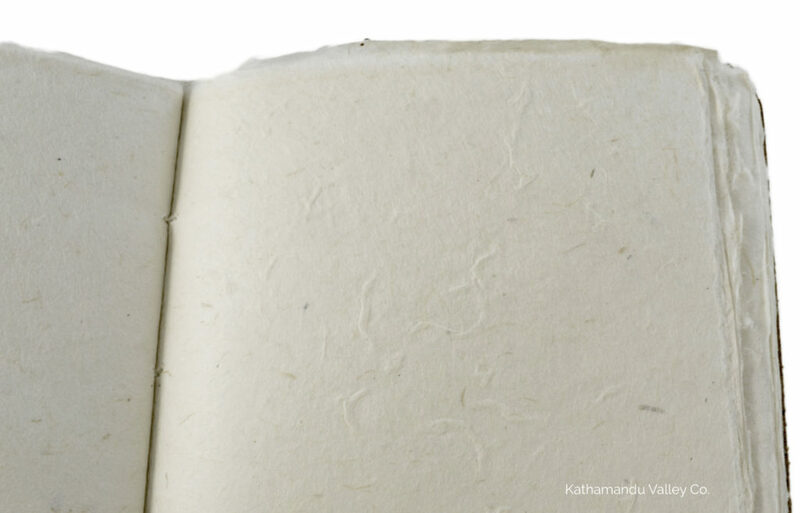 What Gives Lokta Paper its Distinctive Two Sides? 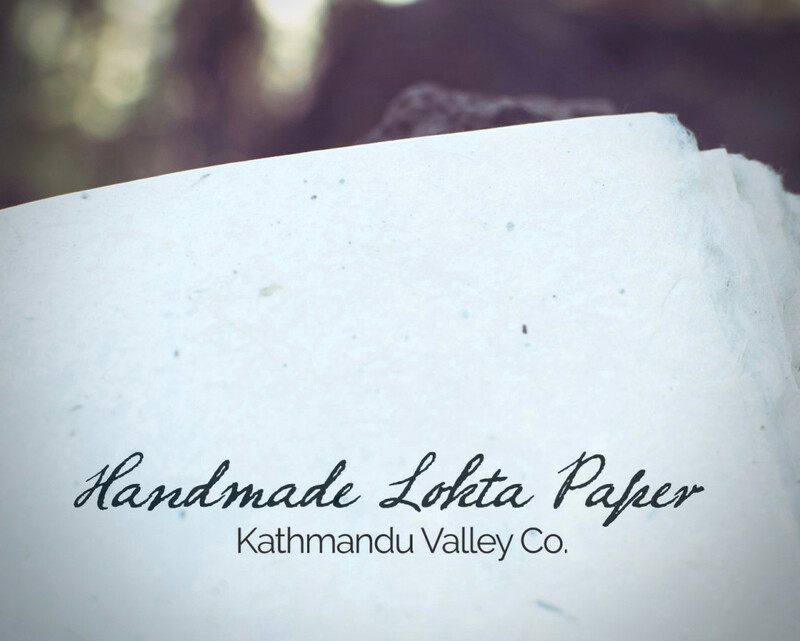 Lokta Paper is handmade from cuttings of the fibrous inner bark of the Lokta Bush. The bush grows on the southern slopes of the Himalayas in Nepal, and has a fast re-grow rate when cut. The inner bark is stripped and then cooked into a mash. That mash is then hand applied across boxed screens and set to dry in the Himalayan sun. This is Where each Lokta Paper Sheet gets its two sides. The fine-patterned side comes from the tightly patterned screen. As the Lokta fibers are spread across the screen, they settle and form against the screen, creating the tiny pattern across the page. 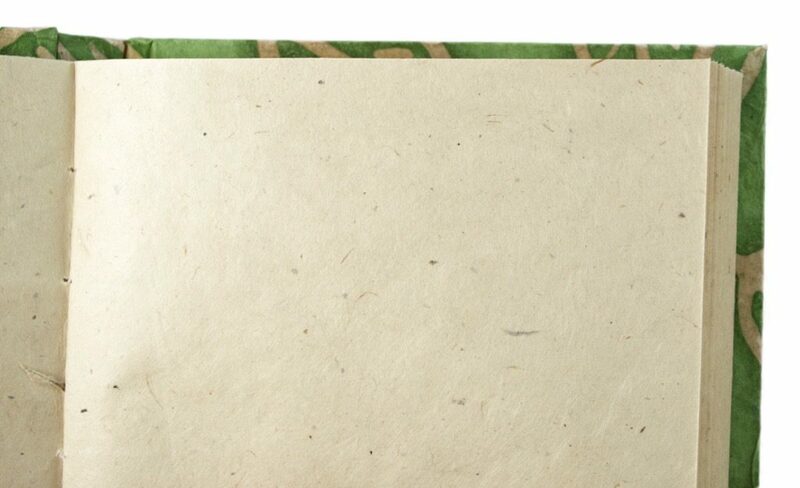 The opposite side of a Lokta Paper sheet has a natural and rough texture to it. This side of the sheet has dried and been “kissed by the Himalayan Sun” as it dries. Since there is no screen pressing against this side of the sheet, you can see and feel the natural texture the way the fibrous dried and adhered to one another, creating one of the most unique papers in the world. The turn of each page shows the unique texture. Each and every page is unique.